Some may think white beans are bland and unexciting, but not me. I’ve had a great time getting to know them again this past year. It seems like white beans make everything better, or complete. They add that extra something to soups and vegetable dishes. They’re filling and healthy and are always willing to take on some extra flavor to help out. They blend in to almost any savory dish especially when garlic is involved. 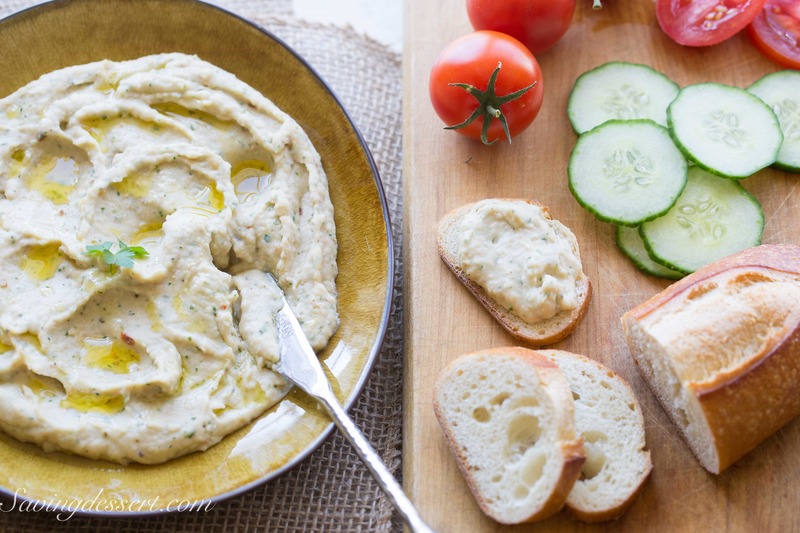 What can you do with White Bean Dip? That is totally up to you. Serve it slightly warm with sliced baguettes, fresh sliced tomatoes, cucumbers and onions. Serve it cold spread on crackers or on a sandwich instead of mayonnaise. It’s a lot like hummus and is great served with a bag of chips. I decided to make mine heavy on the garlic because I just love roasted garlic. Garlic is a close cousin to the onion, another one of my favorite add-ins. Roasting garlic is an easy and inexpensive way to pump up flavor without being offensive. Set your oven to 350 degrees, cut the top off a garlic bulb and place it on a small piece of foil. Drizzle with about 1 teaspoon of olive oil and throw in some fresh herbs. 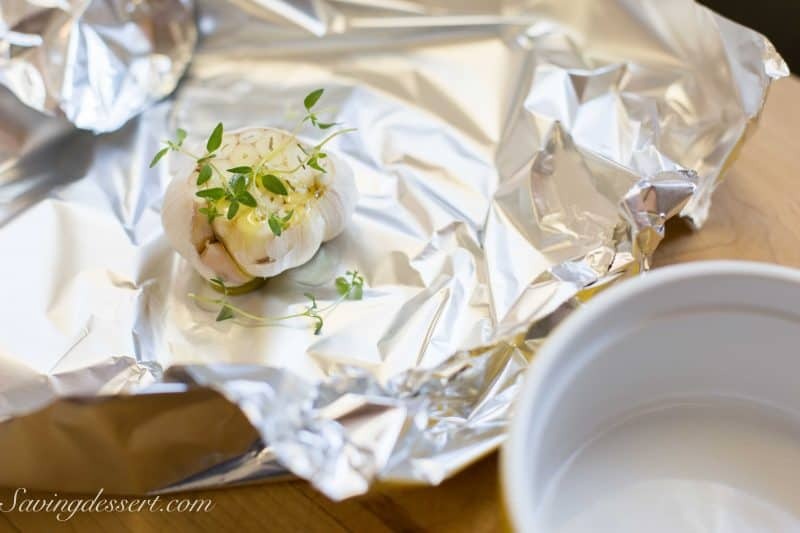 Bring the edges of the foil together at the top and seal the packet. 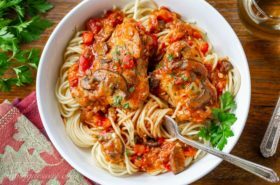 Place the garlic in a small oven-proof dish and bake until the garlic is soft and popping out of the top, about 45 minutes. Once you start to smell the baking garlic – give it a peek to check for doneness. Allow the garlic to cool until you’re able to handle the bulb and can easily squeeze out the cloves into your food processor. 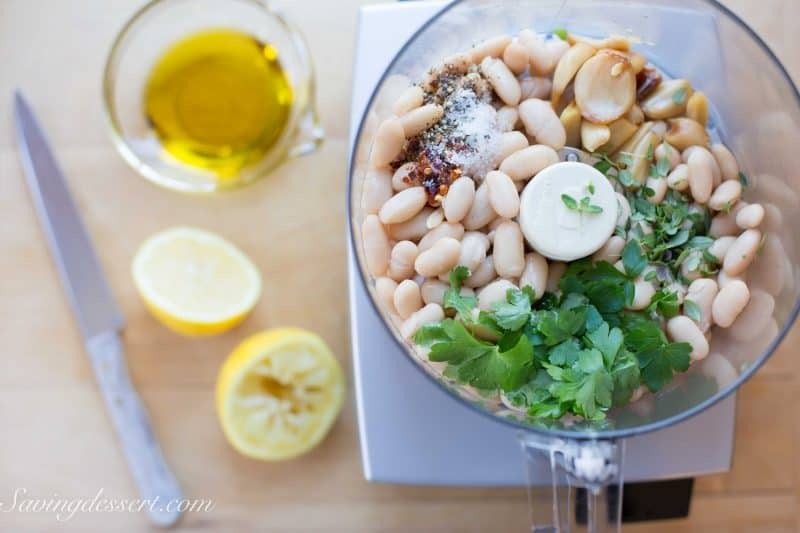 Add the garlic, beans, parsley leaves, fresh thyme, lemon juice, spices and olive oil to the food processor. Pulse until the mixture is the consistency of hummus. Add a little more olive oil if needed to thin the mixture. Cover the dip with plastic wrap and store in a warm place for about 30 minutes to allow the flavors to meld. I like it served slightly warm – it just seems right. 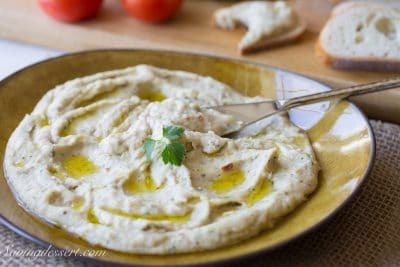 Creamy white beans combined with oven roasted garlic for a hummus like dip that is great served with vegetables, bread, crackers and chips. Use as a flavorful stand-in for mayonnaise on your favorite sandwich. To roast the garlic, preheat oven to 350 degrees. Cut the top off the garlic bulb leaving the cloves intact. Place on a small piece of foil and drizzle with 1 teaspoon olive oil allowing it to soak down into the garlic cloves. Add fresh thyme leaves to the foil and pull the foil up over the top and seal to make a packet. 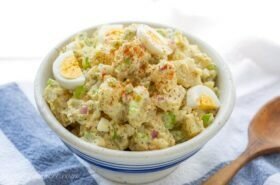 Place in a small oven-proof dish and bake for about 45 minutes or until the garlic is soft and fragrant. The cloves will start to pop out of the skins when done. Squeeze the roasted garlic into the bowl of a food processor. Add the beans, 3 tablespoons olive oil, the lemon juice, salt, pepper, thyme leaves, parsley and red pepper flakes. Pulse until smooth. Serve topped with the remaining 1 tablespoon olive oil. Are you looking forward to the weekend? Are you planting flowers or vegetables? We’re having another small turn with winter weather but no worries. This will soon be gone and the sun will come out again. I am ready! I’m also excited to get into the kitchen and cook up some new recipes to share. Thanks so much for stopping by! 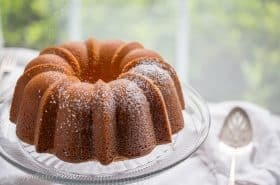 I shall be making this for guests coming to visit today. Have a wonderful and happy day Tricia. Enjoy! Happy Easter to you and your family. 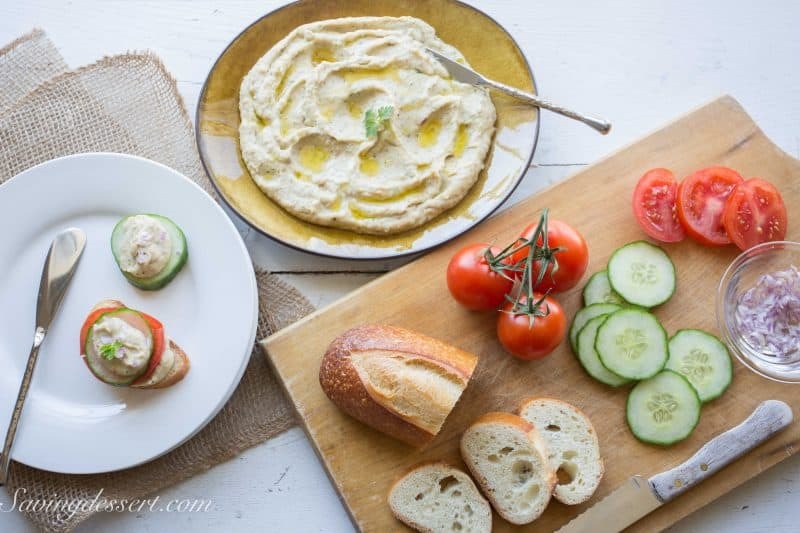 I always use roasted garlic in my hummus and in Giada’s cannelini bean dip recipe. I love your use of a whole bulb here! The thyme and red pepper flakes are also a delicious addition. I need to whip up a batch of this soon! I’ll have to look at her dip. They are all very similar – just trying to put my own spin on it and it really worked! This is great as a spread on sandwiches too. White bean dip is such a great appetizer – especially when it’s heavy on the garlic! 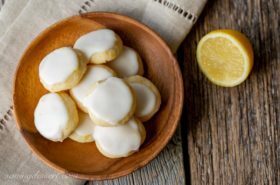 Oh Tricia, this looks wonderful! I was trying to decide on an appetizer for dinner. 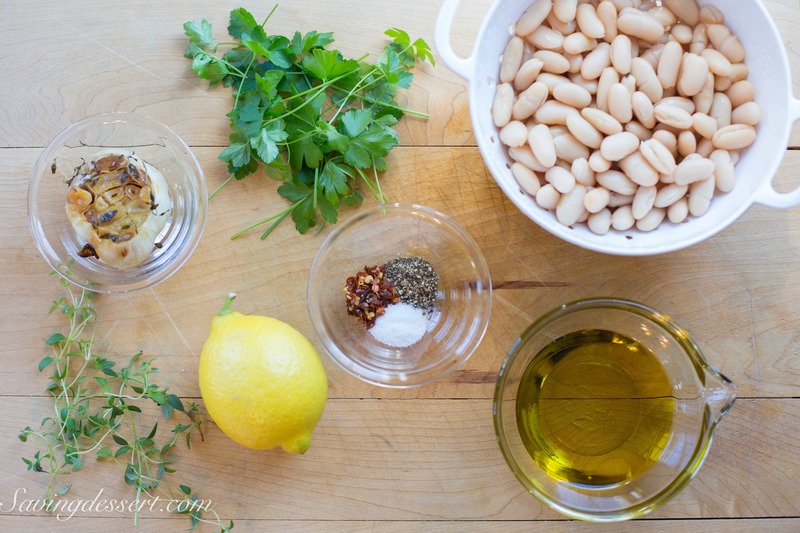 I have lots of white beans in the pantry and always keep a jar of roasted garlic in the fridge. I think is it! Enjoy and welcome back Chris! I love roasted garlic! The first time I had it, I was worried that it (and I) would be too smelly. But roasting gets rid of, as you put it, the offensive, and brings out a sweet nuttiness. What a delicious combination of flavors in your dip! I don’t do much cooking with beans, but would like to learn. This seems like a good place to start with white beans! Thanks, Tricia! I was just thinking about you Wendy. So glad you are having beautiful weather. It has been lovely here today. We need to get on the ball with planting the garden! We did mail order tomatoes last year and loved them. Have a great week! I buy Goya sometimes but often get Bush’s. I will try Goya again! Thanks Monica. Hope you are having a lovely, warm(er) weekend. Thanks Larry – glad you are doing well! I agree, white beans are fantastic, they take on so many personalities depending on how you season them…I love the little garlic all ready for roasting! Thanks Sue – heading over to see what you’re up to! I’m not a big dip maker, don’t know why, I do love a good creamy dip. Yours looks so good. Love the roast garlic too. That’s making me want to get roasting! I don’t have a lot of dips on SRFD either so I thought I should take care of that! Hope you are feeling so much better and getting over the flu. Take care. I agree Betty! About the rain, warm days and dip! 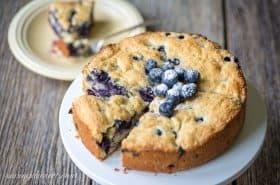 oh wow this looks really good and pretty simple to make. Thank you for sharing, bookmarking this now and will definitely try it out! Very simple Celyn – thanks for stopping by! Heading over to see you now. I’ve learned to roast two heads of garlic when I only need one because the garlic aroma wafts up the stairs to my husband’s office and somehow he knows when the oven door opens. It was a fight to get what I need for a recipe so now I roast an extra head just for him. It does smell heavenly doesn’t it Maureen! I went to a restaurant once that put a big dollop of roasted garlic in the middle of a small plate and drizzled olive oil on top. Served with warm crusty bread it was an amazing appetizer! Thanks Becky – hope you are well! It’s raining and cold today – looks like we missed the snow! Can’t say I’m upset about that. Have a lovely weekend! It must be extremely fragrant and delicious with roasted garlic!